The State Pharmaceuticals Manufacturing Corporation’s annual medical camp was held on March 23 and 24 in Kataragama at the request of Basnakaya Nilame of the Katharagama Ruhunu Manha Devalaya Dilruwan Rajapaksha. 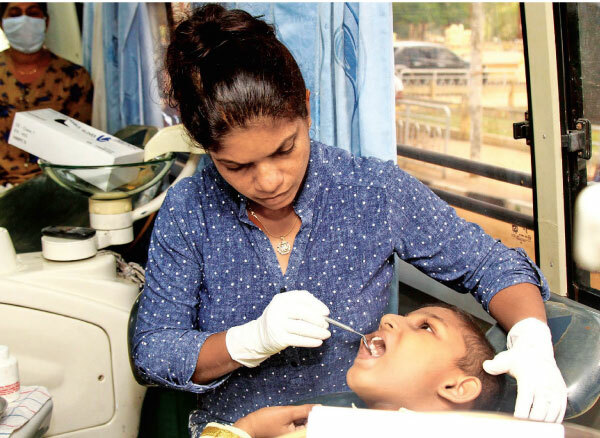 People from low income families, children and religious leaders amounting to almost 2,000 visited the camp and have received treatment by doctors of the Colombo General Hospital, Ampara hospital and Monaragala hospital. The Help Age and the Vision Care also participated at the camp where free spectacles were given to the needy. This camp was totally sponsored by SPMC out of its CSR budget according to a concept of SPMC Chairman, Dr. Sayuru Samarasundera.